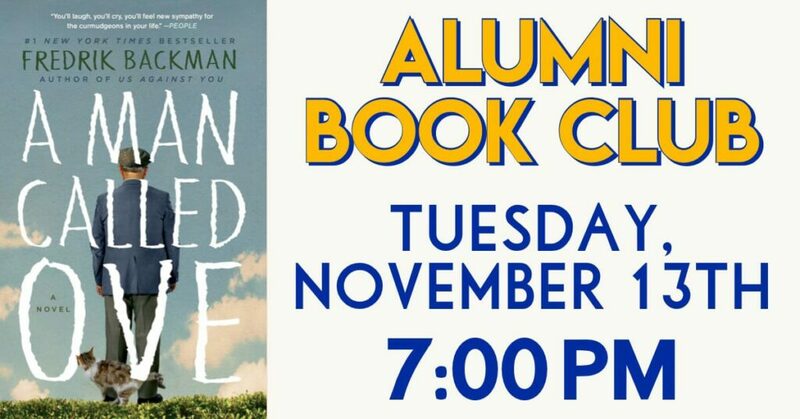 After the success of our inaugural Alumni Book Club meeting this past August, we are pleased to invite all alumni to participate in our upcoming fall event! Ove is a curmudgeon–the kind of man who points at people he dislikes as if they were burglars caught outside his bedroom window. But when one November morning a chatty young couple with two chatty you daughters move in next door and accidentally flatten Ove’s mailbox, it is the lead-in to a comical and heartwarming tale of unkempt cats, unexpected friendship, and the ancient art of back up a U-haul. For those who are unable to attend the meeting in person, we will be live-streaming interactive coverage of the event. Please register using the link below by Thursday, November 8th. Any questions may be directed towards the Alumni Office at (516) 292-0200 x396 or [email protected].